With crisp, clean linens on the beds, fluffy new towels in the bathrooms, fresh flowers scattered throughout the house, and scented candles lit to create ambiance, Audley and I welcome our first weekend guests (besides my parents) to our new home over the weekend. I never thought having company would make me feel so nervous, but overnight guests can do that to you! 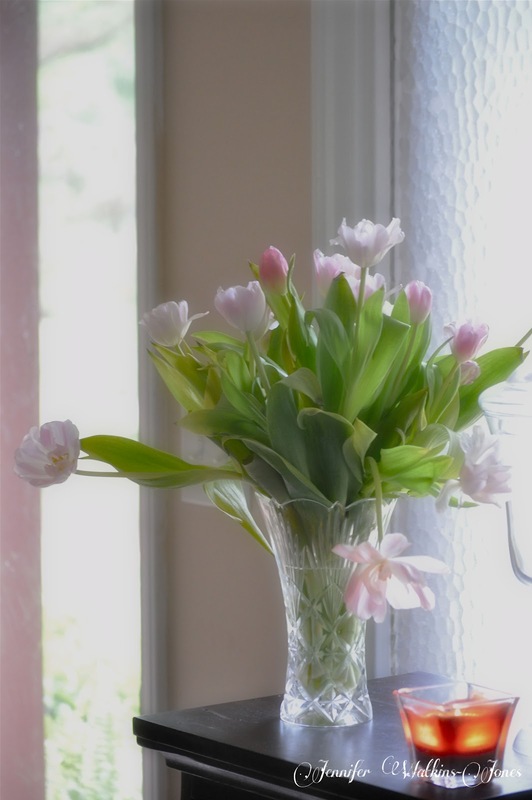 I wanted everything to be just perfect as well as warm and inviting. 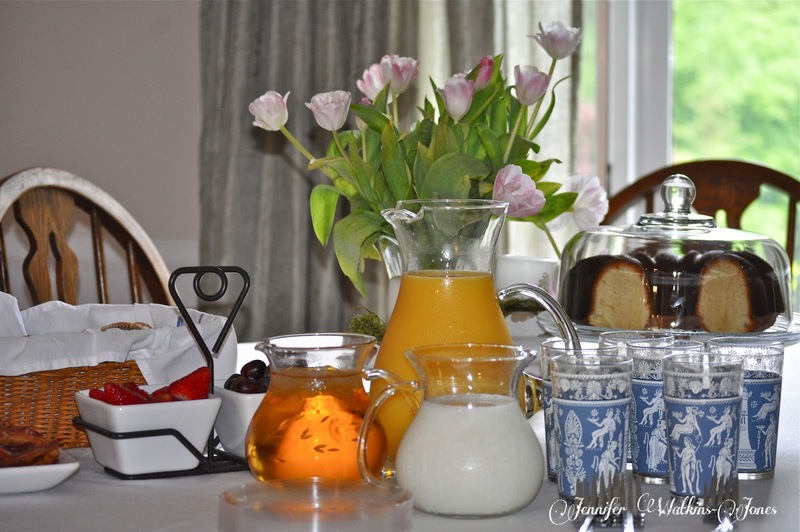 **Making overnight guests feel special and welcome is so important. You don’t want to make anyone feel like they are burdening you! We wanted to share some of our new life with our friends, so I had activities planned in advance for all of us to enjoy like a baseball game and a stroll through the park in Greenville. These were things we could do without getting exhausted and crabby with each other because we were so tired! We couldn’t have ordered a better weekend for having friends from “home” up. Sunny and warm, but not hot. Flowers bursting with bloom, everything so green and lush. To me that is perfect. **Schedule and plan activities based on your company’s tastes. If they aren’t sports fans, baseball isn’t going to appeal to them. I also planned all of our meals out in advance so that I was not spending the entire weekend in the kitchen, but rather spend the time with our friends. Breakfast is one of my favorite meals to prepare, although I often despise getting up so early to cook! It’s easy to plan in advance when you know your guest’s likes and dislikes. 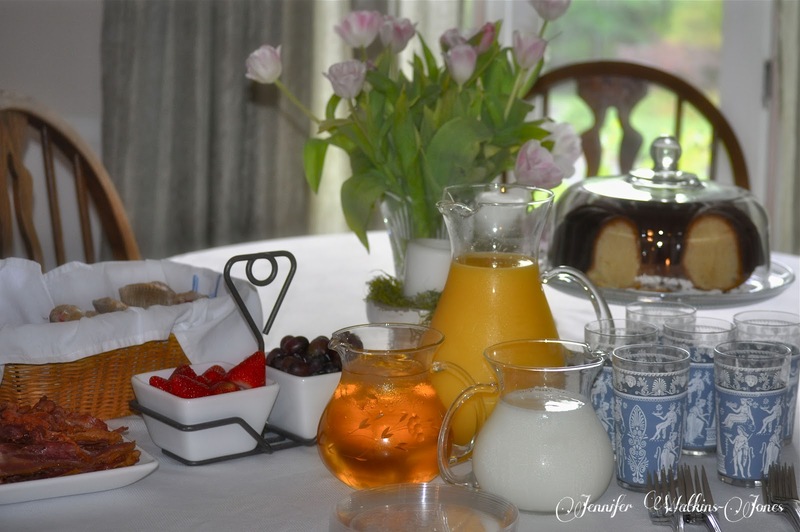 For our weekend breakfast, I went simple: fresh fruit, pound cake, mixed berry muffins, and (for those who like something hot) crisp bacon. **When planning meals for overnight company, be sure to find out any dietary restrictions, allergies or serious dislikes in advance. 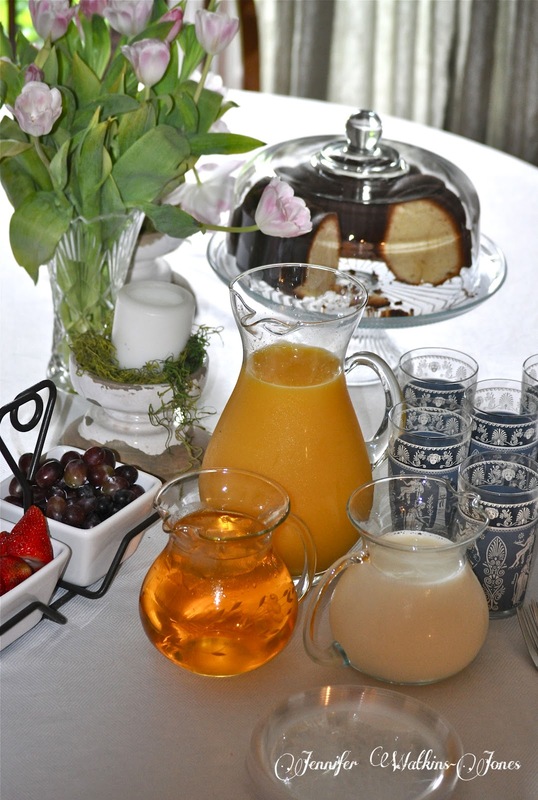 I set a simple little buffet complete with milk and juice so that everyone could casually eat as they got up. **Casual can still be pretty. The muffins were a real hit and were snacked on throughout the day as well. 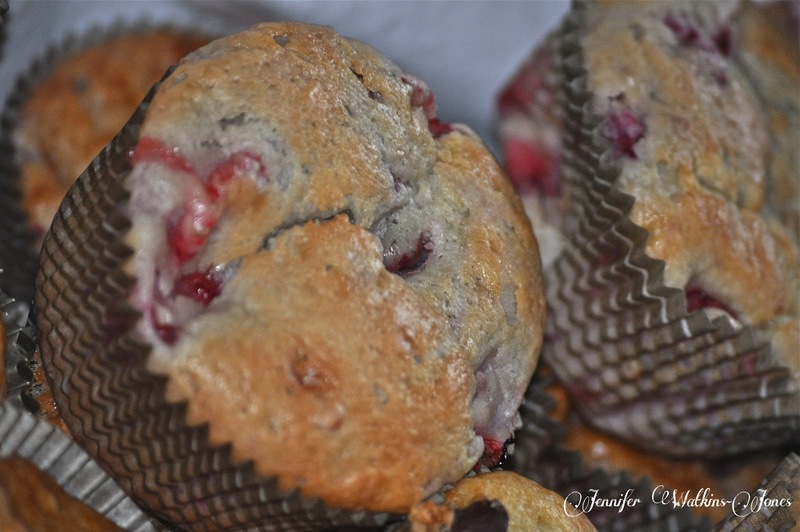 I love this easy recipe for moist & flavorful muffins that has become a favorite here. In a large bowl, mix together your dry ingredients and set aside. In another bowl stir together you egg, sour cream, butter and vanilla. Add the wet ingredients to your flour mixture, stirring with a rubber spatula until just combined. In a muffin pan lined with cupcake liners, spoon some of the mixture into each cup. Place in the oven that has been preheated to 350 degrees. Bake 15-20 minutes until done throughout. You can also substitute the berries for other delightful treats such as chocolate chips, bananas and walnuts, apples with a teaspoon and a half of cinnamon; just use your imagination! By tomorrow I hope to be nearly finished with out little garden area. Later this week I want to share a little of our area that we have been able to enjoy. I am also heading out of town to the National Cornbread Festival sponsored by Lodge Manufacturing in South Pittsburg, Tennessee (my adopted hometown). You can read about last year’s adventure here. Blogger and cookbook author Christy Jordan of Southern Plate will be one of the judges. I look forward to meeting her. When I return I am planning on doing a giveaway that includes a Lodge skillet! I hope you’ll stop back by! I am loving muffins lately! I love all of your dishes too!